Eco Club runs every 2 weeks on a Wednesday after school. It is led by the children and Mrs Davies. As a team we decide what we need to look at in order to help us remain an Eco Friendly school. We tend to the allotment, discuss ways to help children recycle, save energy and help the environment. Currently we are discussing taking part in the 'Waste Week'. It will involve asking parents to send in to school their unwanted small electrical items which will then be collected by WEEE to be properly recycled. Look out for a letter coming soon. You can be Eco friendly too!! Scroll down the page to find a list of websites with information, quizzes and activities to do at home linked with being Eco friendly! Throston School have managed for the third time in a row to retain the Eco School Green Flag award. It shows the effort and commitment of all staff ensuring that Throston children are Eco friendly in many different ways. Watch this space for pictures of our Green Flag Ceremony coming up soon! 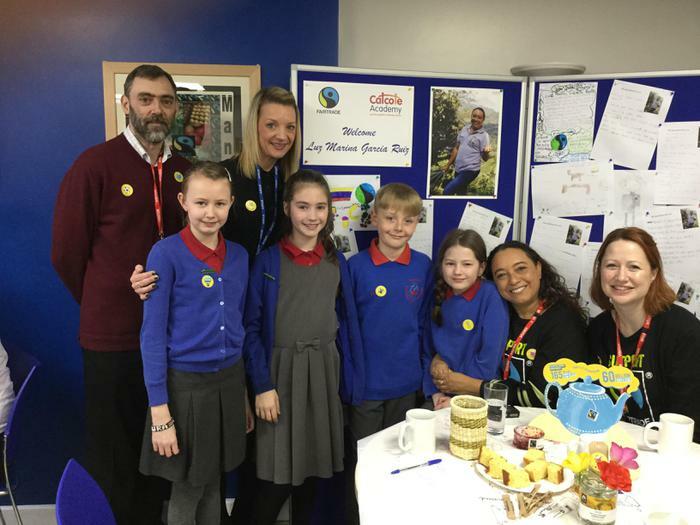 A few members from our Eco club joined other schools in the town to celebrate fair trade goods. 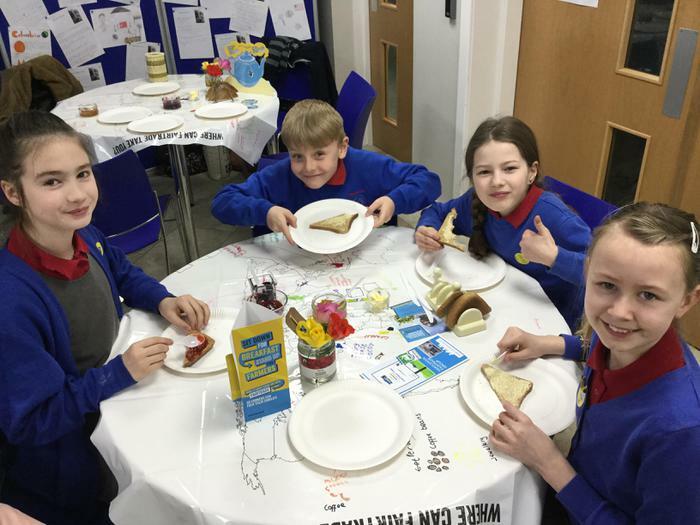 We all had a fair trade breakfast of yummy toast, jam, tea , coffee and orange juice! We found out that other items, not just food can be fair trade such as cotton! We were lucky enough to meet a fair trade coffee producer from Columbia who told us all about what fair trade means to her and her family. We had a great morning. Click on the link below to see our new Throston Eco Code. The Eco club worked hard together to incorporate the Throsties with how we can all be Eco friendly. Our school allotment bloomed over the summer months! Take a look at our pictures taken by some Eco Warriors! You can also be an Eco Warrior! It is important for every one of us to look after the world around us. Click on the following links for information and activities you could do at home! Eco Friendly Kids A site for children with information, tips, quizzes etc on the world around the and how to look after it. RSPB website Free downloadable packs on how to look after the environment around us.